The termination of Microsoft’s support for Window XP critically impacts ATMs worldwide ran on the XP Operating System. The same scenario will occur for Windows 7 so that important security updates will no longer be available and users of Windows 7 may be exposed to elevated risks. 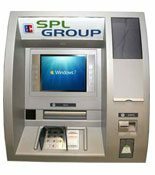 SPL has cost effective hardware upgrade solutions that will protect your ATMs and expand the lifecycle. SPL offers hardware upgrades such as complete card cages, CPU and memory upgrades. Hardware upgrade kits are available for Wincor, NCR and Diebold ATMs and can be customized as per your requirement. Please note that our hardware upgrades will enable your ATMs to run on Windows 10 or higher, we do not supply the actual Windows 10 software. Contact our sales team at [email protected] for more information on our Windows 10 hardware upgrade kits now.